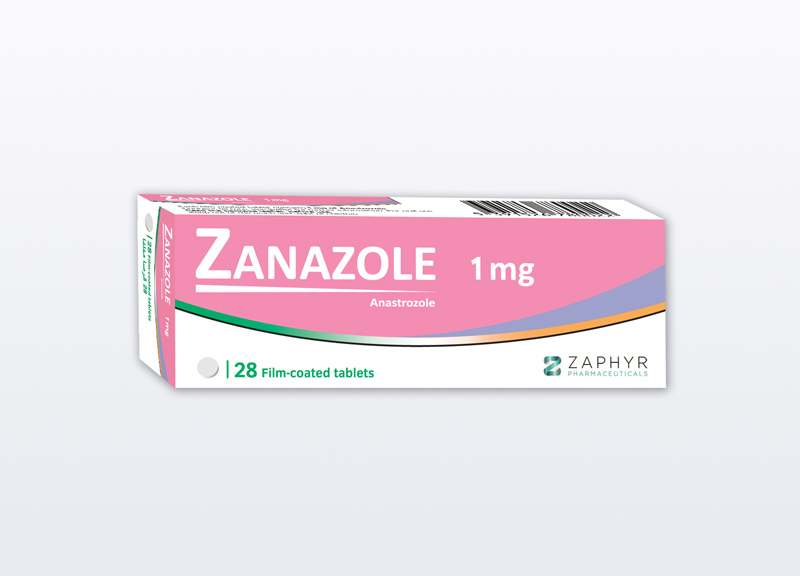 Name: Zanazole (anastrozole) film-coated tablets. Description: Zanazole (anastrozole) is a nonsteroidal inhibitor of estrogen synthesis that resembles paclitaxel in chemical structure. As a third-generation aromatase inhibitor, anastrozole selectively binds to and reversibly inhibits aromatase, a cytochrome P-450 enzyme complex found in many tissues including those of the premenopausal ovary, liver, and breast; aromatase catalyzes the aromatization of androstenedione and testosterone into estrone and estradiol, the final step in estrogen biosynthesis. In estrogen-dependent breast cancers, anastrozole may inhibit tumor growth. Early-stage, hormone receptor positive (HR+) breast cancer. It is used in women who have already received other treatment. Locally advanced or metastatic breast cancer that is HR+ or hormone receptor unknown (it is not known whether it is HR+ or hormone receptor negative). It is used as first-line therapy in these patients. Advanced breast cancer that has gotten worse after treatment with tamoxifen citrate.. Important: The drug information on this page is not a substitute for medical advice. The information may not cover all possible uses, actions, interactions, or side effects of this drug, or precautions to be taken while using it. Please see your health care professional for more, information about your specific medical condition and the use of this drug.